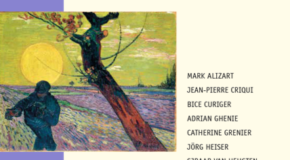 Every two years the Fondation Vincent van Gogh Arles organizes a symposium devoted to Van Gogh. Prominent figures from the world of art – curators, art historians, experts, academics and contemporary artists – are invited to share their views, in individual talks and podium discussions that treat their subject in unusual and original ways. The symposium’s overarching theme is thereby examined not only from historical, cultural and sociological angles but also from the perspective of artists with their own established approaches and practices. The published proceedings provide a transcript and permanent record of the two-day conference. 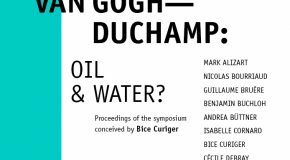 These symposia form part of a series, of which the first – organized in January 2015 – is titled “Van Gogh – Duchamp: Oil & Water?” and the second “Van Gogh – Pre Pop” (March 2017). Van Gogh—Duchamp: Oil & Water?